The confirmed Royal Commission of Inquiry into the Christchurch terror attack comes after a scathing report released by the Human Rights Foundation which shows the New Zealand Muslim community felt targeted by our spies. And in a shocking development, the Muslim community still feels under attack by members of the public, a full-blown investigation into the Muslim community has revealed. "There will be a focus on whether our intelligence community was concentrating its resources appropriately," Prime Minister Jacinda Ardern said on Monday, confirming the Royal Commission of Inquiry. Already intelligence agencies are under scrutiny for looking in the wrong place for terror risks. And a report released by the Human Rights Foundation has found Muslims felt unfairly targeted. "This is a community that has felt under a lot of pressure - they've felt like they have been under unwarranted levels of scrutiny," Deborah Manning, a lawyer and executive member of the Human Rights Foundation, said. Respondents to a survey said Muslims were far more afraid of intelligence services than police. Some said they were powerless, and that the New Zealand Security Intelligence Service (SIS) can do whatever they want. One said during an interview it hit them: they are here for me, you fit a profile. And one person said they felt they couldn't live a normal life. The SIS wouldn't be interviewed, instead sending Newshub an unpublished speech and pointing out that director Rebecca Kitteridge once said "terrorism is not a Muslim issue". However, almost in the next breath, Kitteridge says: "A terrorist event in New Zealand would probably have a very negative impact on New Zealand Muslims - because of the likely public backlash." This seems to suggest she could only ever see a terror threat coming from Islamic extremists. Most of what we've seen so far from the public toward the Muslim community has been love. But Anjum Rahman from the Islamic Council of Women told Newshub hatred is around as Muslims are reporting being threatened even since the terror attack. "People are having people pretend to shoot them - ripping hijab off women," Manning said. 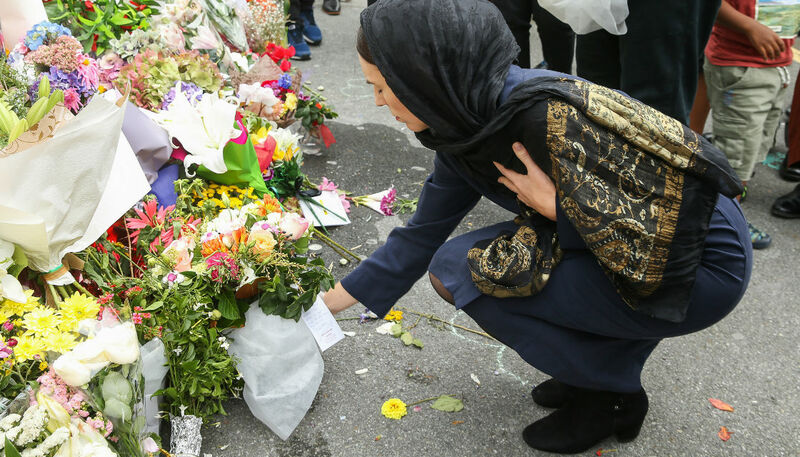 When confronted with this on Monday, Prime Minister Jacinda Ardern said: "I think it's devastating to know that when a community has been the subject of a direct attack like this that they would then be subject to threats." Police couldn't give Newshub data on any potential increase in New Zealand, but the Prime Minister is urging anyone who has experienced attacks or threats to report them. "Please report it - they are taking them seriously, they are following them up," she said.